Can anyone help me to create a face on a solid which has compound curves. The face has irregular sides. In particular the curves consist of two (transverse) radiuses. If you want to create a small flat spot, add a 3D solid of the appropriate shape that projects just a hair above the object. Or subtract one that intrudes just a hair into the object. What I want to do is create a face which has a curvature of one radius in one plane and a curvature of a different radius in the plane at 90 degrees to the first. The area is an irregular quadrilateral at its border. I forgot to say that I am using TurboCad 2016 Pro but I am very much a hobby user. Is what's shown in the below image sort of what you mean by "compound curve" or "a face which has a curvature of one radius in one plane and a curvature of a different radius in the plane at 90 degrees to the first."? In case you don't know: Click on the thumbnail below, to get it to expand. Or right-click on it and select to open in a New Window or Tab. Or left-click or right-click on the file name, and follow the options from there. In the first plane, draw a 2D curve with the proper curvature. In the second plane, draw another 2D curve with the curvature appropriate for that plane. Place the first curve in contact with an endpoint of the second curve and orient it perpendicular to the latter. Sweep the first curve along the second curve. In the attached screenshot, the two curves are circular arcs, but they could be almost any 2D curves. Thank you Alvin Gregorio and Henry Hubich. Your replies have been very useful. I will try out your solutions as soon as I am able and report back. Your original request was "... create a face on a solid which has compound curves". Something like the image below at least get within the ballpark? That Drawing file is attached. If you turn on some of the now non-Visible Layers, you might get some idea of how I went about it. Also, I had "Part Tree" on; so you can keep the Selection Info Palette open, click on the main 3D Object (a "Part", now), and click on some of the Part Tree entries on the top pane of the Selection Info Palette to get an even better idea of how I went about it. If you don't have-- didn't purchase-- the Lightworks add-on, when you explore the drawing you won't have any of the Materials that I've assigned. The curves as shown above by H.H. are more what I had in mind. I will try to create my part in the next couple of days. I have now had a play with this. The solution by H.H. does appear to be the answer but I was naïve to think that it could be done with just the two transverse radiuses. It works with a square or other rectangle outline but for anything else it requires several radiuses in one plane if the sides are symmetrical and in both planes if they are not. This is required if the surface is to meet the edges correctly all the way around the perimeter. Effectively it means creating curves which follow the radiuses along which the surface is swept. H.H. hinted at this. For a curved perimeter the more radiuses employed the closer the surface and edges meet. It could get very complicated indeed. I would assume that for a circular perimeter the sweep would need to follow a sine curve, although in this case it would seem easier to use the revolve tool. You can shape the outline as you wish, by 3D-Intersecting the original Sweep with an extrusion of the outline shape. At first look that looks like a simple solution but it isn't. The resulting perimeter is 3 dimensional not 2. It may well be useful to use in other applications though. Have you tried any of the Blend and or Bend tools? I think (not sure) that the radius of curvature cannot be constant in either plane if the perimeter is to be a predefined 2D shape. Yes. If you look at my first entry on 5th Jan you will see that I also came to that conclusion. I can't believe that there isn't a simpler way of doing it. After all, these types of surfaces are used all the time in industry. One only has to look at any common manufactured product such as the body of an electric drill, the curved top face of a common UK 3 pin mains plug, or a car body panel. How are these faces produced in TurboCad? I think about that a lot. Computers-- algorithms in programs-- are so rigid, need to define points in order to locate pixels, 3D Printing points, etc. The reason I give TurboCAD and other programs a break is: I think about car commercials in which I see a car designer molding a prototype of a future car out of clay. It seems opposite to the way a computer and its programs work. Very natural, free-flowing. I don't know how-- or if-- that can be replicated via computer at this time. I think (heavy on the "think", because I am just a blue-collar guy) that's what Smesh tries to attend to. That natural, free-flowing, kind of modeling. How can we replicate that which man can create from clay? Good question. Tough for a computer that needs to define points. By the way Jim-- Can you post an image that shows something that at least approximates what you are trying to model? I'm just curious what you are trying to achieve at this time. With a User Name such as "electronicbiker", my guess is leading me to assume it's some sort of motorcycle fender or something. 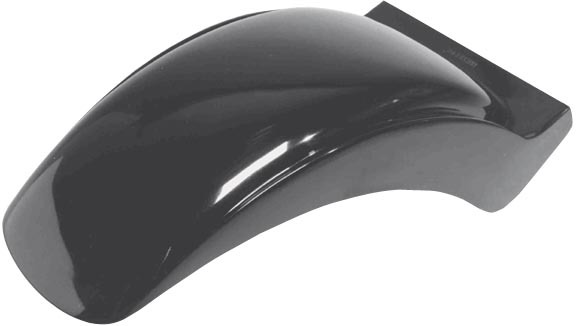 Does anyone know how they get those clay-molded, compound-curved, free-flowing, full-size prototype car bodies into CAD software for production? Humans... We've figured out how to do a lot of stuff. My reference to car bodies has sent us off at a tangent. What I am trying to construct is a geometrically regular curve. I have posted a photo of the article involved. The top face (ignore the logo, the raised tubular section and the wedge) is a compound curve. I am resolved to using the "Facet Editing/Deform to Point" tool to draw this. Complex shapes like that are usually created by lofting an array of profiles. The profiles generally are cross sections of the object and can be Polylines or curves, usually 2D but sometimes 3D. The Gallery section of the forum contains many examples. In my experience with shapes like that, the top surface's bulge or curvature would be achieved by intersecting the topmost extrusion shape with a sphere or ellipsoid, fillet/blend the edge. The bosses refer to the underlying extrusion and mounting faces and are blended into the top surface/s after that curvature's been established, and there's a wedge subtraction on the edge closest to the camera between the bosses. Alvin, are these pix of any use: Ducati Cam End Cover? Some of the links have multiple views. Thanks John. Of course, I've been obsessing over this little practice project this weekend. Tried different things, couldn't achieve what I was after. Couldn't figure out how to apply Murray's suggested method so that the curvature (the "deformation"?) occurs uniformly throughout the top, to all extents. Giving it another go today. Lord knows I should be doing something more productive; sometimes it can really be a hindrance having an obsessive type mind. Thanks for all your input gentlemen. I have now managed to do it to my own satisfaction. Hey!... that looks great! Nice job. What method did you use? I couldn't get it. I used the solution proposed by H.H. on 1st Jan but modified to account for the irregular edges.